In a joint family where there are many members in the family a hatchback or a sedan is not sufficient. I had a Hyundai Accent sedan earlier which could seat only five people inside however, in my family apart from my wife and two children my parents also stay with us, therefore I needed a large car so that we could all go together for outings or travel comfortably. I was thinking to buy a SUV or a MPV and also had few options on my mind like Toyota Innova, Mahindra Scorpio. 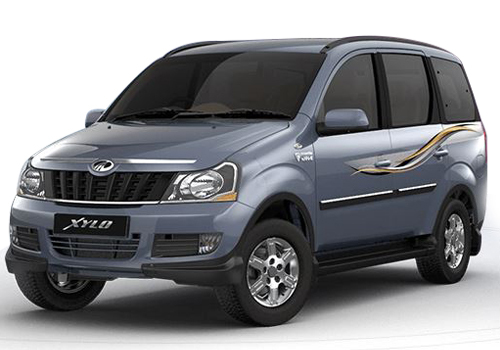 When I started looking for information on internet I came across the new version of Mahindra Xylo which launched in India at that time. I was taken aback with its features, space and powerful engine. All this and a lot more offered at a very remunerative price, the model I bought comes powered with a 2498cc, 2.5 litre mEagle diesel engine that produces a maximum power of 112 at 3800 Rpm with a peak torque of 260 Nm at 1800-2200 Rpm. The diesel engine is capable of offering a mileage of 10 kmpl in city conditions and a fuel efficiency of 13.0 kmpl on highway. One reason I love to drive Xylo in summers is its effective air conditioner which makes the ride comfortable even in scorching heat, even if somebody is sitting in the back seat he or she will not feel warm. Other features present in the vehicle that make it a must buy are anti lock brake system, front passenger airbag, driver airbag, power steering etc. It has been only 2 months since I bought this car and it is more fun now to go on outings with family, nice to see smiling faces of my family. I live with extended family in Jaipur. I have a Mahindra Xylo. It's perfect for big family, Interior space is very big. The power steering gives me complete pleasure to drive the SUV smoothly even on the roads with heavy traffic.